In a kids yoga class one pose can be used many ways. 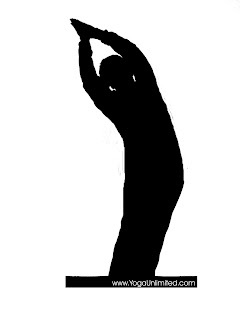 Take Crescent Moon Pose -for example-and all the topics it can inspire kids to consider. Balancing Your Body and Your Life: Crescent Moon is one of the poses in the Wii Fit Yoga game – so kids may know it from there. I’ve played the Wii Fit Yoga game and it is a fun way to see how centered your balance is. This pose can be used to talk about balance and can be done by most ages.Balance is key to the Wii game. In life we balance games and other activities. The fine balance in the solar system, the sun, the moon, and the earth – creates life. What does balance mean? Ask kids the moon’s cycle: full moon, crescent moon, no moon, crescent moon, then full again. What is that like? One answer is our cycles of digestion. Pass on your lineage’s teachings on digestion. When to eat before exercising and why? How much to eat? Give a little anatomy lesson. (hey- there’s a whole workshop of topics here!) Make up poses for each phase of the moon. Crescent Moon is one of the poses in the Teaching Kids Yoga Curriculum and it goes really nicely with the theme “What is Yoga” when I introduce the concept of Unity. So give Crescent Moon a try in your kids classes – it is great pose for all ages.